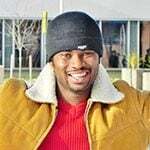 Mark is a Nigerian student studying at Durham College, Canada, and he's really enjoying getting to grips with the quirks of Western culture! 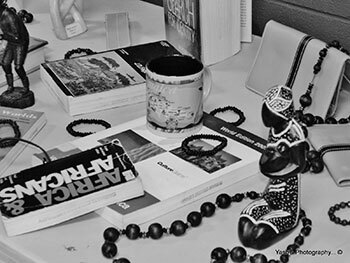 Both Africa and the Caribbean Islands are made up of diverse ethnic groups and cultures. Each of those groups holds its own unique set of beliefs and traditions dating back before the European rule in Africa. 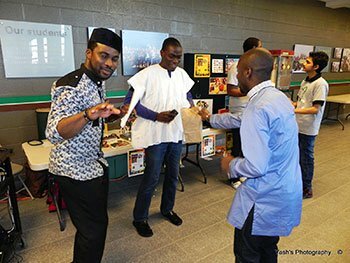 With the encouragement of the International Office, I organised an African and Caribbean Cultural Festival at Durham College. 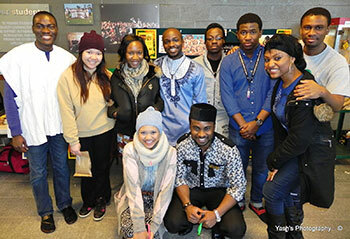 My fellow student mentors and I, along with help from African and Caribbean students made it a great day. Everyone came out in full unity to participate in the show. Students from different roots were present and showed their involvement, making new friends, seeing our great displays and talents. People came away understanding more about other cultures. It was a day of learning outside the classroom. Personally, I became knowledgeable and aware of how the Caribbean Islands population originated, which was when the Africans were brought in as slaves from Ghana, Chad, Mali, Cameroon and many more African countries to do work on the islands and plantations before slavery was abolished in 1833. It was such an interesting event and a day of unity on campus. My fellow countrymen and women wore their gorgeous traditional clothes and showed much love for one another. So I hope this will not be the last event of this kind since my fellow African and Caribbean people participated in such a great day. Let us always remember our roots and keep the flag flying high. We all know there is no place like home. We are each gifted in a unique and significant way, it is our privilege and our adventure to discover our own individual light. Previous articleWhat Is Like to Be an Optometrist?